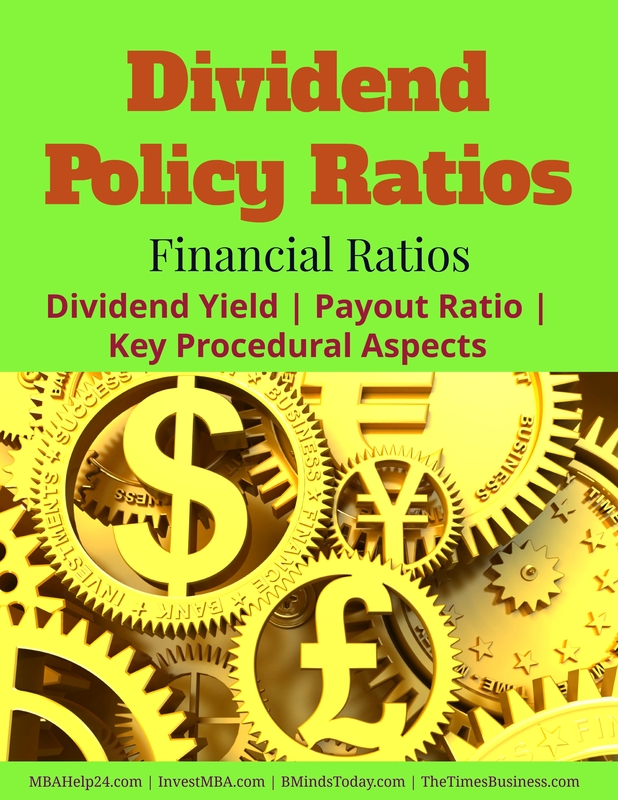 Dividend policy ratios principally measure how much an organisation pays out in dividends relative to its earnings and market value of its shares. The two primary dividend policy ratios, the dividend yield and payout ratio provide understandings on the subject of an organisation’s dividend strategies and its future growth prospects. The purpose of these ratios is to have insights pertaining to dividend policy of an organisation. They compare the dividends to the earnings to quantity how much of its earnings an organisation is paying out in dividends. They similarly compare the dividends to share prices to understand how much cash flow the stakeholders receive for their investments in the organisation’s shares. Dividend yield is the sum that an organisation pays to its shareholders year after year for their investments. Dividend yield is most important for the investors who are looking for long term investments and a steady profit every year. However, a high dividend yield does not inevitably translate into a high future rate of return. It is highly essential to consider the prospects for increasing the dividend in the future. The dividend payout ratio specifies the percentage of an organisation’s earnings that are paid out as dividends to its common shareholders. Organisations with steady earnings are more likely to pay out better ratio of their earnings as dividends than are firms with more unstable earnings. Similarly, organisations with a large, ongoing number of high-return investment ventures are less likely to pay out a high quantity of earnings as dividends because of their necessity for the capital to fund those projects. Resolution by Board of Directors: The decision pertaining to dividend payment is at all times the entitlement of the board of directors. Therefore the board of directors ought to conduct a formal meeting in order to take a decision on dividend payment. Shareholder’s approval: The resolution of the board of directors to pay the dividend has to be accepted by the shareholders in the annual general meeting. Record date: The dividend is to be paid to shareholders whose names appear in the Register of Members as on the record date. Dividend payment: Following a dividend declaration process, dividend certifications must be dispatched within 30 days.